Access from two roads! Build your house at the top of the lot to take advantage of the stunning lake view, then build your workshop/toy garage/RV pad at the foot, off Gammon Road. 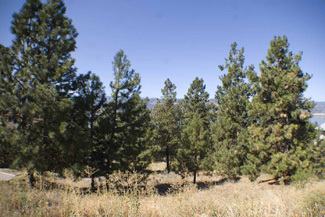 Great location just north of Lang Vineyards, a quick 10 minutes to Penticton. The property is ideal for a level-entry rancher with walkout basement. This is one of the few lots remaining in this neighborhood of quality homes, and the only one with double access.